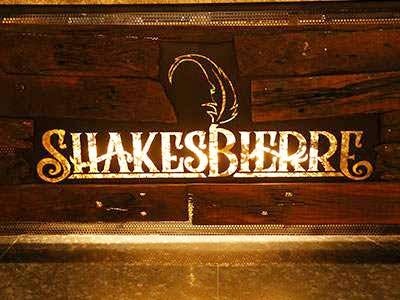 Shakespeare Theme - Bar and kitchen filled with Artistic walls and Biggest rooftop in MG Road. The bar taps and menu are named from the plays and novels of Shakespeare. Innovative cocktails and mocktails and starters like Peanut masala, Kerela chat, Murg angarey, Tawa Paneer, Dahi kebabs and spicy chicken wings are a must try. Surprisingly they even have a variety of items like Thatte Idly, Podi Idly and Bitter Gourd. Drop By This Place For Some Crunchy Juicy Pizzas! Love Shakespeare? Then Try This New brewery In Town!